New ways to share your scores: messages, Facebook, Twitter, and others. Separate section for inactive balls in the balls list. 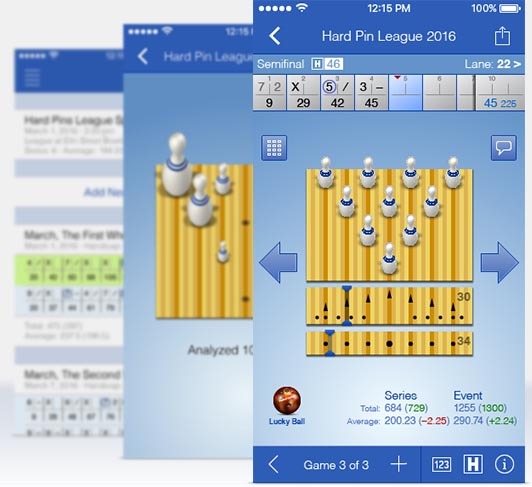 Perfect Game is an iPhone, iPod touch and iPad software for everyone who loves playing tenpin bowling and wants to improve his/her game results. 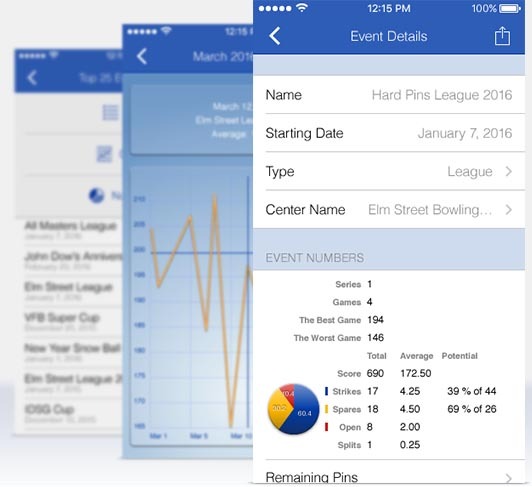 Perfect Game transforms your iPhone into a bowling game data (score, targets, balls, clubs, etc.) recorder and analyzer. 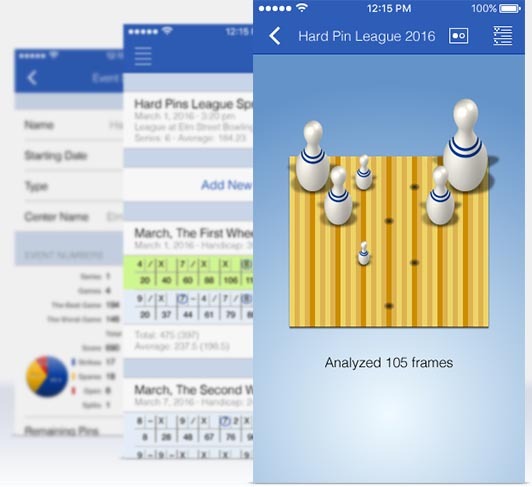 Perfect Game builds score charts, displays remaining pins, calculates all of the bowling games related numbers like series and events total and average, number of strikes, spares and splits, and more. Record every shot of your bowling game in the Game section of Perfect Game. You can enter game data in different ways. The quickest one is to enter the final results only. If you want to analyze your score later, you have the option to enter game data frame by frame, specifying the numbers of target boards and exact pin layouts after each shot. For both frame-by-frame input types you can save a frame/delivery comments and a used ball info. The more detailed information is collected, the more precise analysis results you will get in the Perfect Game Smart Lists section. 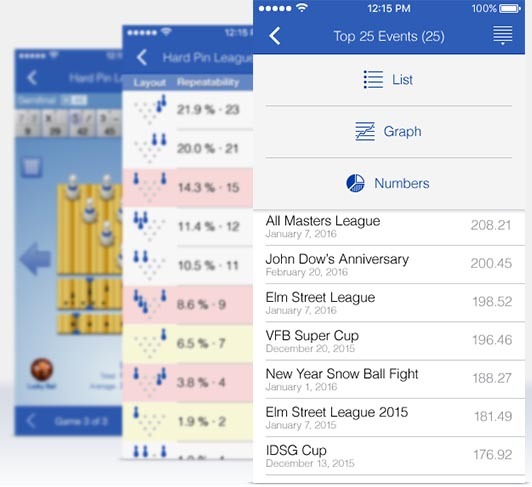 Smart Lists of Perfect Game is a powerful tool for analysis of your professional growth in tenpin bowling. 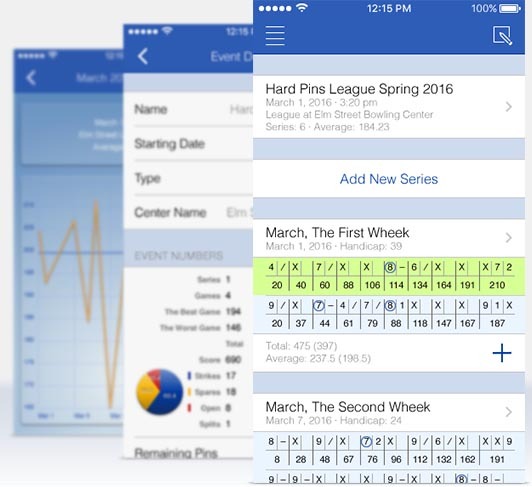 Select games and bowling events by various criteria and see your progress on a time/score graph. 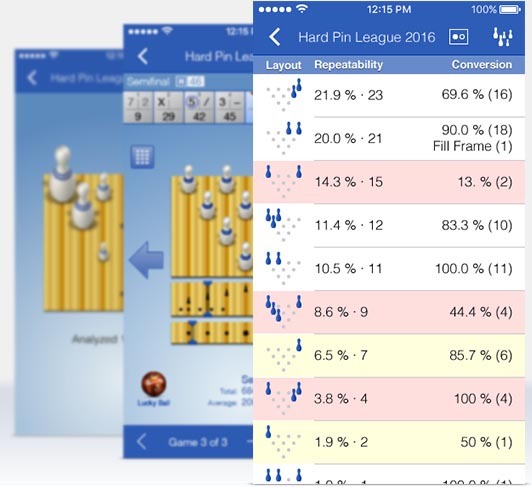 Get statistics of your results for specific pin layouts. Learn more about Smart Lists in the Perfect Game User's Manual. The Balls feature of Perfect Game allows you to store info about your bowling balls: name, purchase date, ball image. You can add any number of comments, which is useful to track the life history of a bowling ball. Collected balls can be assigned to a particular delivery of any game for later review. Learn more about Balls in the Perfect Game User's Manual. Information about the bowling centers you play at is stored in the Centers Manager. You can use it to track your progress on each lane in a specific bowling center, or just call a center to reserve a lane. Centers in Perfect Game are synchronized with your iPhone/iPod touch Contacts. In addition, you can store the number of lanes, equipment type, and your custom notes for any of the centers. Learn more about Clubs in the Perfect Game User's Manual. 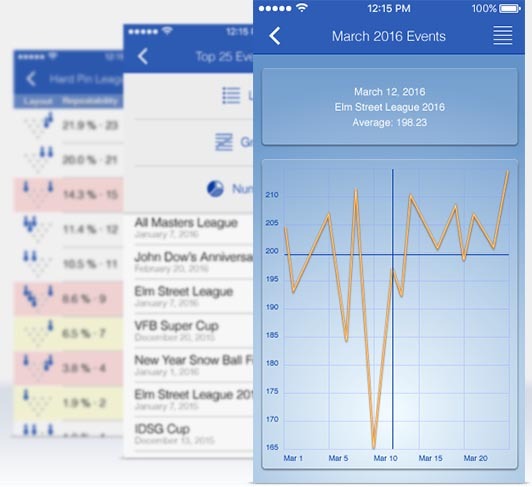 Learn the statistics of your scores for games, series, and complete events in the Numbers sections available on all Details Info views. This section informs you about your potential and real achievements, displays shares of your strikes, spares, and open frames on a pie chart. Remaining Pins module shows your tops and downs for different remaining pins layouts.